Banner advertising provides a dynamic way to establish and grow your brand awareness. 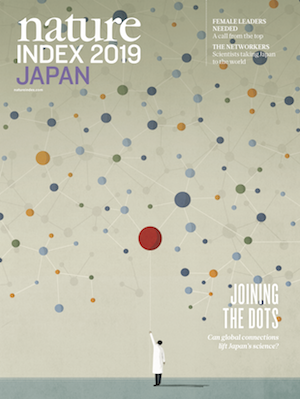 Publications which analyse and interpret Nature Index data over a given period of time or for a given region are produced and distributed with Nature (circulation > 50,000). 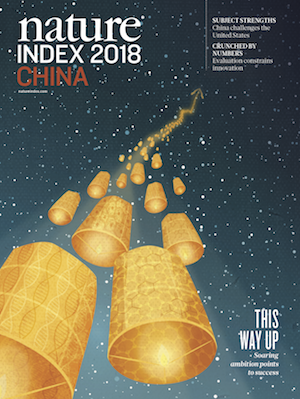 Print advertising in Nature Index supplements provides a unique opportunity to promote your research achievements and future priorities with key decision makers and opinion leaders. Nature Research provides editorial services to help with the preparation of institutional advertorials. View the complete list of clients with enhanced profiles. See the advertising terms and conditions for advertorials and enhanced profiles. Promote your institution’s performance in the Nature Index with a free badge. Badges can be customised to highlight your institution’s performance in the annual and supplement tables, and across the various categories (e.g. region/country, sector and subject). Badges can be used online and in print, terms and conditions apply. Showcase your institution’s high-quality research outputs on your website. Our API feeds your publications tracked by the Nature Index to your website on a monthly basis. The suggested width for the widget is 300 pixels. The tagline and institution name color and the number or articles are editable. Register to create your own profile and widget. Need more? 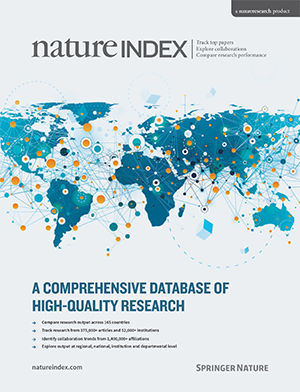 We can deliver custom Nature Index datasets to meet your needs. Our analysts can produce custom reports derived from the Nature Index data. Our reports provide insights to help inform your decision making. For all general and editorial enquiries, please send us a message. For commercial and advertising enquiries, please visit ‘advertising@Nature Research’.